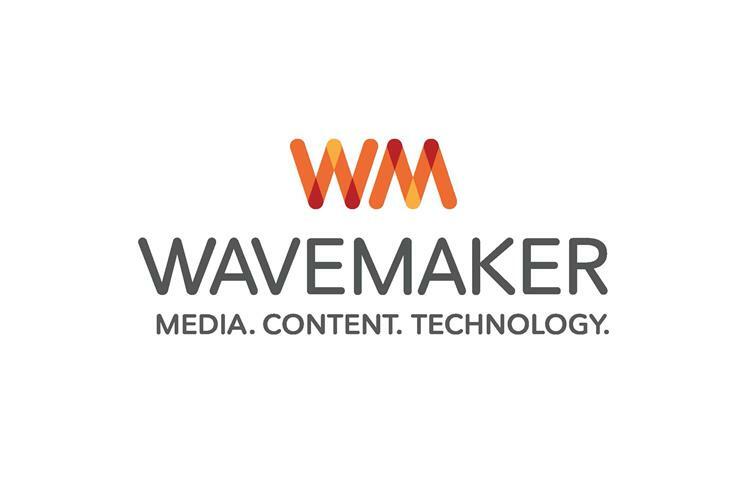 Wavemaker will be the name of the WPP agency formed by the merger of MEC and Maxus. Tim Castree, who will be the global chief executive, has taken the name from MEC’s content division, MEC Wavemaker, which launched in April 2016 and has grown rapidly. Castree said the Wavemaker name underscores the agency’s ambition to be "a leader" which is "in front of transformation" and is "making waves by making bold choices". Wavemaker is "a real word", "memorable" and "easy to pronounce and spell" and the company’s logo, WM, "reflects the agency’s heritage" as part of WPP and its media-buying arm, Group M, he said. Castree is positioning Wavemaker as "a media, content and technology agency", rather than just a media shop, after a string of account losses and the emergence of new rivals such as Omnicom’s data-driven agency, Hearts & Science, and the management consulting firms. He said the name change is "symbolic". Wavemaker requires a "rapid evolution and transformation" and must differentiate itself because of "the growing forces of commoditisation in media and advertising", he told Campaign. He said Wavemaker will combine MEC’s "obsession" with "purchase journey" planning with Group M’s data resource, [m]Platform and there must be "a renewed focus on the primacy of client relationships and needs" – a tacit acknowledgement that the reputation of media agencies has been tarnished by last year’s industry-wide debate about "non-transparent" business practices. Group M, the world’s biggest media buyer, has insisted the merger is not a "carve-up" of Maxus, which is about half the size of MEC. Wavemaker will adopt Maxus’ company values, dubbed "PACED", which stands for passionate, agile, collaborative, entrepreneurial and diverse. Castree joined MEC as global chief executive in January from Videology with a mandate for change. He said the two agencies have made few redundancies because of the merger, although some senior roles have been lost. He has abolished a layer of pan-regional managers and the leaders of the top eight global markets report directly to him. One insider admitted staff retention has suffered during a limbo period since news first leaked in May that Group M was going to merge MEC and Maxus in a "NewCo". Castree said: "Not having a name has been a source of anxiety and a little destabilisation for some folks." Wavemaker will have 8,500 staff, operate in 90 countries and manage $38bn (£29.2bn) in annual billings. The Wavemaker brand will "go live" in local markets over the next few months in a makeover that is due to complete by January 2018. "We will be slightly leaner and definitely more profitable and will have freed up some money to drive that differentiation," Castree said. Castree described the merger as "a big, incremental leap", rather than a revolution, and could count "on one hand" the number of clients that have raised concerns. Wavemaker’s clients include L’Oréal, Vodafone, Marriott, Colgate-Palmolive and Paramount. "We’ve had good client stability during the transition," he said. "If we weren’t making moves like this, clients would be wondering what’s going on [given the disruption in the media sector]. They expect us to stay relevant. "There’s not a single client that I’m talking to, across all our biggest clients, that isn’t obsessed with their own transformation at the moment." Kelly Clark, the global chief executive of Group M, ordered the merger as part of a wider shake-up, which includes turning digital agency Essence into a fourth global media network – alongside MediaCom and Mindshare. Clark said: "Wavemaker is an exciting new global agency brand with a powerful proposition for clients." WPP founded MEC in 2002, when Media Edge merged with CIA, and it launched Maxus in 2008. Both agencies suffered last year as MEC lost AT&T in the US and Maxus lost Fiat Chrysler globally. Castree said one of his aims is to increase the number of multinational clients. He added Group M’s trading scale "still matters", even in an era where technology and data are increasingly important. "It is still the principle barrier for anyone who wants to enter our market," he said. "For a Deloitte or Accenture, that’s not something they could ever replicate." However, Castree said more mergers and consolidation could happen. "With all of the change going on in our business, it would be surprising if there’s not more [consolidation]," he explained. Castree’s team did the Wavemaker rebranding in-house, rather than use an external branding agency. Lambie-Nairn worked on the launch of MEC Wavemaker last year. Castree has said the content arm, which will be renamed Wavemaker Content, already generates about 5% of revenues and he wants that to reach 20% by 2020. He also plans to build up Wavemaker Momentum as an insight database with purchase journey history.